I am an energy auditor and weatherization contractor working primarily in the residential market in Central Pennsylvania. Through a variety of tests, I can tell a homeowner not only what home improvements should be done to improve the efficiency of the home, but also what the return on investment will be. Apart from the energy savings, I also pay particular attention to the health and safety of the home. 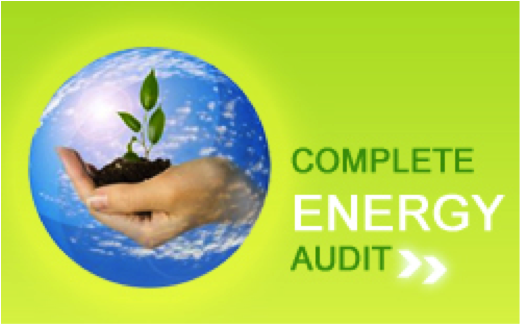 Energy auditing and building analysis is a fairly new industry. I received my training in Maine, through Maine Housing, and at the Weatherization Training Center at Penn College. I also went through the Building Performance Institute's Building Analyst certification. All homes have an air barrier, but some are, of course, better than others. An air barrier basically helps to reduce the amount of conditioned air that is lost and replaced by unconditioned air. The faster a building exchanges air with the outside, the more energy is needed to maintain the structure at a comfortable temperature. There are always holes in your air barrier, because otherwise you would suffocate in your home. The trick is to keep the number of holes to an acceptable level without compromising safe and healthy ventilation. 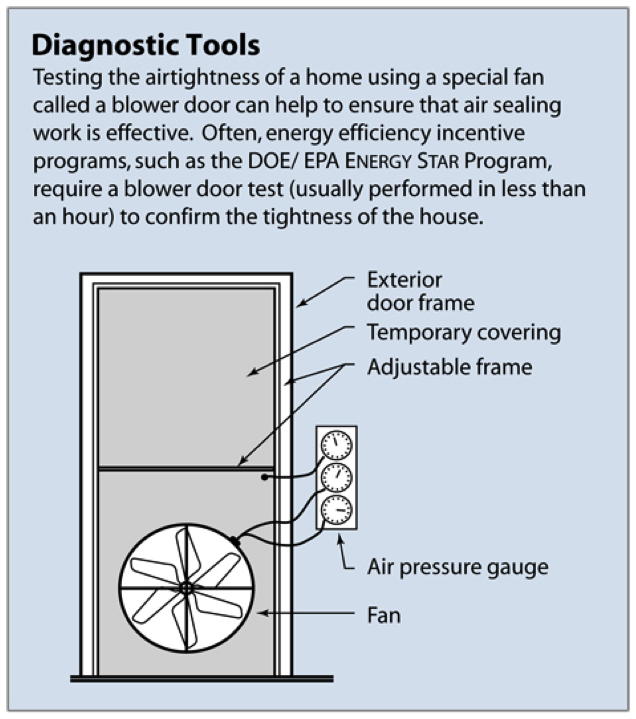 I use a blower door, which is essentially a door frame, tarp, and fan that goes in an exterior door, hooked up to a pressure manometer. Basically, this test gives me the CFM leakage of the structure at 50 pascals of pressure. While the fan is running, I can typically find leaks using various techniques and equipment. Based on the structure, the leakage number, and the subsequent tests, I then determine if it is safe to seal up the house further, where to seal, and what potential savings are to be gained. I would not recommend performing air sealing on a house without having a blower door test done by a BPI certified Building Analyst. For example, maybe your house is right on the border of allowing mold to develop. You proceed to seal the house too tight, and mold begins to develop in the bathrooms or kitchen. Perhaps you have many pets and odors that are tolerable with your leaky house when they are quickly exchanging with the fresh outdoor air, but then you seal the house up to a point where the smells become unbearable. Or you might encounter the biggest fear of any building analyst, the possibility of a backdrafting flue causing carbon monoxide poisoning. In my experience, older homes tend to be leakier than new homes. Air sealing in the attic is typically the best place to start. Recessed lights, plumbing chases, wire intrusions, open wall cavities, and attic hatches are common leakage points. If you are sealing a recessed light, make sure you follow local fire code. If you would like to learn more about specific air sealing techniques, the Department of Energy link below has some good information at this site. Your thermal barrier, or insulation, will determine the ability of your home to retard heat flow. The slower your heat leaves your home, the less energy your heating system will use. Your air barrier and thermal barrier should be together and continuous for maximum efficiency. It is very important that you air seal before installing new or additional insulation. Insulation is another job I would recommend hiring a BPI certified building analyst before tackling. Watch out for vermiculite, as it has been known to contain asbestos, which can cause cancer. It should be removed by an asbestos-removal contractor. Blowing sidewalls and floors can be a very difficult job, and the only houses that typically make sense to do this in are those without insulation that have large wall cavities and balloon framing. This is definitely a job for the professionals. Rim joist insulation can be an effective install for those homes with uninsulated rim joists. Below is a nice video that shows where the rim joist is. A homeowner or even a contractor can simply use rigid board insulation, friction fit and foamed on the edges with cans of spray foam, for sufficient improvement. The more expensive spray foam with the large canisters in the video is not necessary. 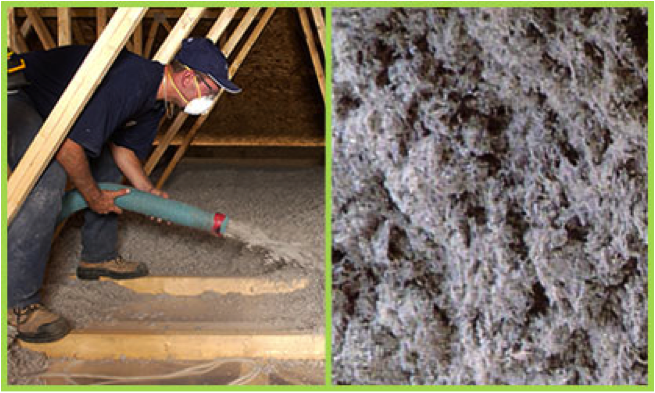 I personally prefer to use loose blown cellulose insulation. It is essentially recycled newspaper. I prefer this to fiberglass as it is non-toxic, resists air, and will seal small air leaks, where fiberglass will not stop air and is quickly derated when windwashing is present. I do use fiberglass on occasion, and it is certainly an effective form of insulation. Closed-cell foam insulation is the "new kid on the block." It is a perfect air barrier with a high R value, but it is expensive. It is a good to use if you are insulating a roof deck where you are bringing the entire attic inside the thermal envelope; for example, when you have ducts and an air handler in the attic. I do a combustion analysis on Oil and Gas systems to determine efficiency, draft, CO, O2, among other things. Typically the 80% + systems and below will progressively lose efficiency after they have been tuned. It is a good idea to have your system professionally maintained. It really does make a big difference. 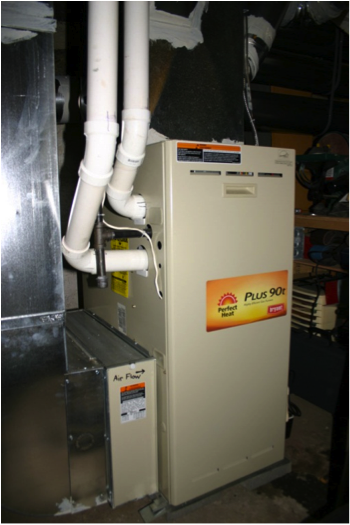 Oil boilers and furnaces: The best systems are typically 85% efficient. If you have an older system, it could be around 60% or 70% efficiency. If you have an older system, I would highly recommend discussing replacement with your HVAC professional. If no natural gas is available and you have the funds, switching to a geothermal heat pump is a great way to go. It is on the pricey side, as I have seen systems for 30K, but paybacks can approach 10%, depending on how much oil you are using. Gas Furnaces or Boilers: Natural gas is so cheap right now, and the high efficiency 95% + units are affordable and extremely efficient. This is a nice option if you have a natural gas line that you can tap into. If you have an older 70%+ unit, a high efficiency replacement unit can give you a 10-15% payback, and with the sealed combustion, CO is no longer a major concern. Electric Resistance Heat: This is by far the most expensive way to heat a house. It is a great idea to switch to natural gas if you have access to a gas line, or to geothermal if you have the funds. High-efficiency natural gas units can yield a 20% ROI, while a geothermal heat pump can yield a 10% ROI. Size really does matter: One problem in almost every home that I audit is that the heating system is oversized. Does your system frequently turn on and off? Or does it run constantly? A perfectly sized system will run constantly on a cold day. A perfectly sized system will not be able to heat your house to 72 degrees on the coldest day of the year. Combustion heating systems run at their maximum efficiency at steady state. When a system starts and stops, it runs at a much lower efficiency than the unit’s rated efficiency. Fantastic savings can be gained by air sealing and insulating, thereby reducing the heating load on a home, and then the heating system can be replaced with a smaller, more efficient system. If your ducts are entirely inside the thermal envelope, or conditioned area, this is typically not a problem. You can seal ducts in this situation to help balance your furnace. This becomes critical when you have ducts in a crawl space or attic. Any leaks in the ducts will help to heat that attic or crawl space. This can, of course, waste energy, but it can also lead to condensation issues, as the conditioned warm air hits the cool roof deck or crawl space. 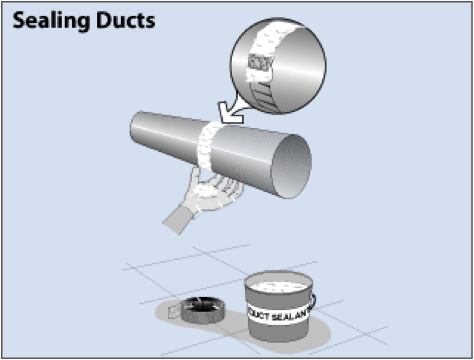 A very easy fix for sealing your ducts is to use duct mastic to seal up all the joints and connections. Mastic is good because it does not come off like tape and can expand and contract. It is a paste that can be spread with a brush or just an old glove that you are willing to sacrifice. Ducts in unconditioned spaces should be insulated to R-11. It is possible to lose 10-30% of a home’s heating and cooling energy through the conduction of uninsulated ducts. The first thing to look at is the temperature. 120 degrees usually works well. Make sure your water is not hotter than that. You can check the water heater, as some do have settings, but you may have to put a thermometer under hot water to find out. Constantly keeping a tank at too high a temperature is extremely expensive. The second thing to be concerned about are the water pipes. Are they insulated? If not, insulate starting from the tank, 6’ on the cold side, and as much of the warm side as you can reach. 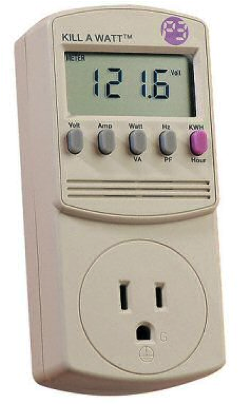 This will help you reduce standby loss, and it is super easy and cheap also. In some situations water heater tank wrap can also be installed, but be careful because in some water heaters, a wrap will void the warranty. Make sure to check the manual to find out if a wrap is appropriate. Most new water heaters are already insulated. Should you consider replacement? 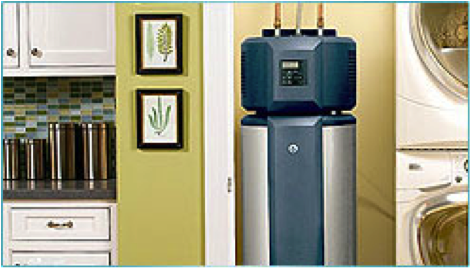 If you have an electric water heater, I would strongly recommend the new air source heat pump water heaters. They use less than half the electricity of a traditional electric water heater. Solar hot water is another nice option, especially those that are concerned about steady supplies of traditional energy in the future. On-demand tankless systems work well if you use natural gas for your water heating, especially if you are moving from an inefficient tank model (non-condensing unit, atmospherically vented). However, with natural gas so cheap, the ROI is not great, and if you have a heavy hot-water need, you may need more than one. 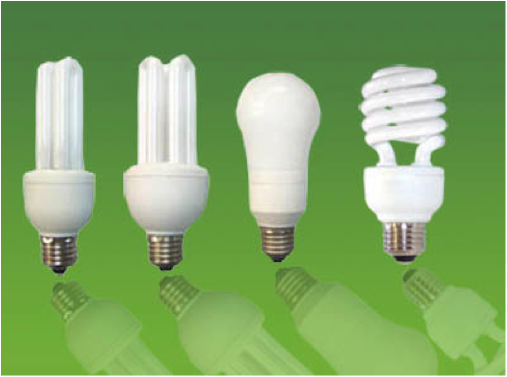 Incandescent, CFL’s, or LED’s are the predominant lighting choices available to most homeowners. Not efficient; emits waste heat. Does not last long. Mercury inside if broken. Some people do not like the quality of the light. Very expensive; some people feel the light is too dim. There are only a couple of appliances that I am concerned about considering replacing, as far as efficiency goes. The number one appliance is the fridge/freezer. The second would be the washing machine, and a distant third and fourth would be the dishwasher and the non-energy-star dehumidifier. Here is a link to a nice database for refrigerators and freezers to give you an idea of how many KWH of electricity your current unit is using. Compare that to a new unit’s yellow energy sticker to determine the savings you would receive by replacement. Then, based on the cost and potential energy savings, you can easily decide if replacing your appliance is a good investment. Stay away from side-by-side fridges with built in icemakers, as they are more expensive and less efficient than typical top-freezer models. 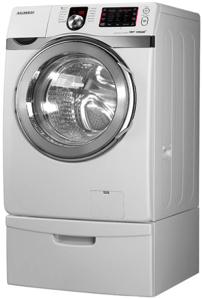 Front-load washing machines use a lot less water, water heat, and electricity than top-load washers. Whenever replacing a top load, pick an energy star front load. Dishwashers should only be replaced for an energy-star model if you have a pre-1994 model. Otherwise, use it until it breaks. Non-energy-star dehumidifiers are a good item to replace, but it would be even better to remove the source of the moisture so that you do not need the dehumidifier whenever possible. Low-flow showerheads, faucet aerators, and low-flow toilets are a great way to save water, along with whatever fuel you are using to heat your water, as well as your sewer bill. Most showerheads will tell you on the head how many GPM they allow to flow. Low-flow showerheads typically allow 1.5 GPM. 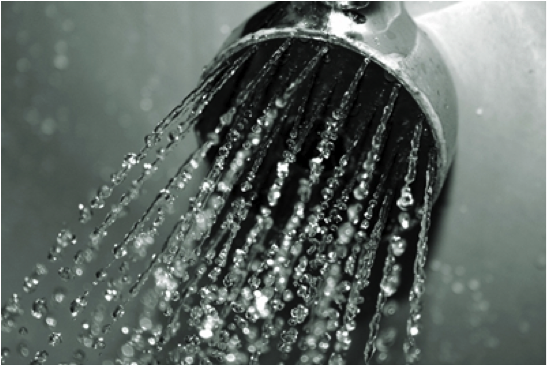 If you have a showerhead with 2.0 GPM of flow or higher, it is a good idea to replace it with a low-flow showerhead. Bear in mind that you will have less pressure and water with a low-flow head, although the new designs do a good job of aerating the water. Low-flow faucet aerators are also 1.5 GPM. It is a good idea to replace the aerators that are 2.0 GPM or higher. The aerators are super cheap, and you will not sacrifice anything to achieve the water savings. Low-flush toilets typically use 1.6 gallons per flush, although I have seen lower, while older toilets can use 3.5 GPF. There are also dual-flush toilets that allow even lower GPF for liquid waste. Switching to a low-flow toilet can save 20,000 gallons of water per year. Composting toilets are a good solution for those off the grid, or who want to remain independent of the public sewer. CO and moisture/mold are the two biggest things that I am concerned about, as far as health and safety, when I am looking at a house. I can always tell who has a wet basement when I drive by a house and see relatively new paint peeling off. This is from the vapor pressure of the moisture. Excess moisture will literally take years off the life of your home. Below is a list that I give my clients to help them to keep their house safe, healthy, and durable. Additional pets and people add moisture; be aware of increased ventilation needs if adding occupants. Don’t warm your car up in the garage, if garage is attached to the house. Many appliances will draw electricity while plugged in but not in use. The trick is to find out which ones are drawing enough power to be concerned about either unplugging them or putting them on a power strip that you turn off. I use a handy tool called a watt meter to determine this. You can buy one for about $40. You plug the appliance into the watt meter and the meter into the outlet. Then read the results after it has had enough time to make a good yearly projection. Older televisions tend to be the biggest offenders that I find. People also tend to have these old TVs plugged into areas where they never use them, like the exercise area in the basement that they use twice a year. I have seen old TV’s that can use 400 KWH just sitting there plugged in for a year. Many utilities across the country and the federal government are offering rebates for energy-efficient measures and appliances. In PA, in accordance with Act 129, the utilities are offering big rebates for whole-house energy audits from participating contractors, as well as rebates for energy saving retrofits. As electricity, fuel oil, and natural gas get more expensive in a world of decreasing natural resources, the detailed improvements listed above will increase their effective ROI. I can’t imagine investing in anything until I took advantage of the great investment opportunities in my own home and infrastructure. As a bonus, you don’t have to worry about Goldman front-running you or the Fed printing too much insulation! This What Should I Do? blog series is intended to surface knowledge and perspective useful to preparing for a future defined by Peak Oil. The content is written by PeakProsperity.com readers and is based in their own experiences in putting into practice many of the ideas exchanged on this site. If there are topics you'd like to see featured here, or if you have interest in contributing a post in a relevant area of your expertise, please indicate so in our What Should I Do? series feedback forum. This series is a companion to this site's free What Should I Do? Guide, which provides guidance from Chris and the PeakProsperity.com staff on specific strategies, products, and services that individuals should consider in their preparations. This is just an amazing post. I know we've had many, many good ones, and this one just fits right in with the best of them. Way to go Phil, nicely laid out and organized with plenty of supporting facts. My oil tank is in my cellar. My oil tank is in my cellar. This article mentions not storing oil inside your home. Is it possible in a colder climate to have the oil tank outside of the house? I seem to remember hearing something about buried oil tanks no longer being allowed. It also seemed to imply that old paint cans and other such things should not be kept in the house. I currently keep these in the cellar and was planning to move them to the (under house) garage, which is basically part of the cellar. Should I be moving these out to my shed? What about them freezing in the winter? I have a question about CFLs. They are always advertised as lasting a long time, but I've had a problem with many of the bulbs going out after a few weeks or months of use. Can you recommend the most reliable brand? What is your experience with the LED lights? You mentioned that LEDs light have a long life span, but have you heard that they can fail early as well? Another question. Do you have any experience with solar air heaters such as the Solar Sheet or Cansolair and their effectiveness? For the air source heat pump for water heating, the effeciency depends on where you live. Overall, thank you for the post, it is helfpul. I also recommend looking at reviews on Amazon, for what people experience for some of these, such as low flow faucets, etc. Thanks for a wonderful post, it was really very informative and thoroughly enjoyable. It has sparked a few questions that maybe you could answer. I recently signed with a contractor to install a solar hot water heater which is scheduled for installation in two weeks. Part of the proposed system is an electric hot water heater even though we currently use propane. The reason is that California offers a rebate of $1,200 +/- on electric hot water systems. By installing a $400 electric water heater, I get a $1,200 rebate. Crazy. Would an Air Source Heat Pump Water Heater be a better choice to work in conjunction with a solar hot water system? Do you have any thoughts to share on radiant barrier retrofit for the attic? Does the ROI info that you've cited have a regional variation? I live in Southern California where the temps rarely ever get below freezing. Wouldn't that affect the ROI? Also, what is "wind washing" in regards to insulation? Thanks again for a very valuable and timely contribution. Phil thank you for a great review esp with ROI. What is your opinion on retrofitting of energy recovery ventilation, and the various types and reliabilities (heat + latent/humidity)? Phil - what a great post! All that excellent information in one place. I love the ROI calcs as well - very useful for giving people a context for prioritizing their energy efficiency efforts. I had one question/point - you suggest that spray foaming the rim joist isn't necessary and you prefer using rigid foam board fitted in and sealed. Isn't that really time consuming? I've found that it can be a hassle to do that because joist spacing is variable in older homes and there are a lot of obstructions that require cutting and fitting. Whereas with spray foam, you don't have to worry - you just spray it and in an hour, you're done. And the spray foam gets in all nooks and crannies that I often see people miss when trying other methods. I've put together an energy efficiency blog at http://tedstips.wordpress.com/ where I've been doing a brain dump on these types of issues and problems seen during my time doing energy audits. Hopefully, more of us will help spread the word and help empower people to make intelligent choices in retrofitting their homes. Energy Efficient Home Tips - Great Article Phil! There is no end to how much securing the main living areas for comfortable living. And most people wouldn't think the flushing has any efficent options till its too late. . . or until they are thirsty! The project we're working on this summer at MyBackAchers.com is to create a "double envelope" of mass around our buildings. The insulated mass (made of block, insulation and filled with sand) uses a single solar panel to collect heat from the attic - so it aids in cooling the house summers). This mass releases heat over winter. It can't heat our Minnesota home all winter but it can add early winter comfort. The other winter heating we do with wood and all that has been discussed before on another topic. The only thing to add is to be sure to get an effcient burn on whatever wood you burn to save you time and increase your comfort. We may end up heating our mass system to get ALL the heat from our wood. We actually do the same "mass storage system" but backwards for our ice house (we store the winter cold in anti-freeze/water tanks) and it is our freezer/cold house. The 12' x 12' insulated room is mainly tanks and was built in a building too far away for house use so I hope we can get a smaller - short cold storage built out the north door of the house (the north side stays cold here till June). And not to forget landscapes become more energy efficient so looking at turning yards into gardens for food drops the fuel price but don't forget areas for kids and pets to run so look at the no mowing grasses to take over your high energy and time consuming lawns. People will soon be finding many ways to become more efficent and it will be really interesting to see how uncomfortable people come up with new ways to conserve what little energy is available! It was my pleasure. I have benefited greatly from you and everyone else in the CM community. I am very happy that I was able to contribute something back. Old paint cans are typically OK in the garage, provided there is not a major connection between the garage and the house. For example, if you were to open a few cans in the garage, and then be able to smell them in the house, they should probably go to the shed, or better yet seal off the connections, but otherwise the garage is fine. Unfortunately, the paint can freeze, which can damage the paint, so depending on where you are located (how cold it is where you are) you may have to decide what is more important, your paint, or the possibility of breathing the paint fumes. The basement can be OK if the paint cans are new (not rusty) sealed very well. Having said that I personally do not like them in my house. I keep my paint and gas cans in my garage, which is unheated, but it is not directly connected to my house as their is an unconditioned breezeway separating the two. The oil tanks for heating systems can be in the basement, and they are outside as well. I would not worry about moving it, it should not be a problem. I was more referring to your gas cans, and oil cans for your outdoor power equipment. Having CFL's burn out early is a fairly common occurence. I do work for a couple of the PA utilities, and they force us to use a good grand of CFL, and I sometimes have these burn out immediately. Usually, I try a different wattage in this situation. A lot of times this works. Having said that GE makes a nice CFL, but they are expensive. I would not worry too much about the brand, and try changing the wattage. Also, sometimes it can be the electrical or the fixture. For example, I have a 4 pin CFL fixtures in my downstairs area, and a couple of those fixtures burn out quickly, but the rest of them have yet to be changed in three years. Below is the link for the company that I buy a lot of my bulbs from. With the LED's, I would not worry too much about them burning out quickly, as any worthwhile LED vendor will give you a 2 year warranty. Just check their warranty policy before you buy, because they are expensive. Also, I would highly recommend buying one from the store to determine if you like the light or not. I always show my clients samples first, and you would be surprised how many people say they hate the light. I personally really like LED's, but they still do not have the variety available to always do a complete retrofit. Also, some of the higher wattages have fans in them, and they will make a buzzing sound that might drive you insane, if you like total quiet. I like the idea of the solar air heater, but I do not have any personal experience with them. My opinion would be that it could save you some energy, but I would be careful relying entirely on the unit for heat, especially if you are in a harsh winter area. I'm with Chris, this is one of the better posts. I just had an energy audit done on my own home. After running the blower door and sealing some leaks, the auditors were able to knock another 10% off the airflow, and this was after I had my exterior walls spray foamed, I sealed and caulked windows, doors, etc. I can imagine what the number was before I did all this. I'm now in the average CFM range for a home, but still just a bit higher than wher I should be. I don't have the information from the audit in front of me, but I believe you want the CFM number to be in line with your home's square footage. All in all, the audit was well worth it! One thing that I have to somewhat disagree with is you mentioned running the bathroom exhaust fan after taking a shower. The humidity in my house was as low as 8% this past winter. To me, adding some humidity to the house via the shower is helpful. I read this in a green blog somewhere and it makes sense. What are your thoughts on adding insulation over existing insulation? I have some old rock wool insulation(only 2-3 inches thick) underneath my attic 2x6" deck floor. My original intent was to spray foam my attic rafters, but now I'm thinking of pulling up the floor and adding some fiberglass insulation directly on top of the existing rock wool. I've gotten mixed messages on doing this vs. ripping out all of the insulation and adding all new insulation. Removing the paint cans from your house makes complete sense. Will do that tonight. The phantom load was a big saving for me. I used that Kill-A-Watt meter and discovered my fridge was using twice as much power in a year as my dad's fridge. I replaced the fridge with a new EnergyStar model. Thanks again for an outstanding post. Thank you. The solar hot water system uses the electric heater for backup heat when needed and it houses the coils to heat up the tank from the solar. You are making a fantastic investment. In theory the air source electric water heater would certainly be more efficient than the traditional electric water heater, but the ROI would probably be much lower than stated in my article, because that ROI is based on an inefficient setup to start, just the traditional electric water heater. So it would only make a difference during the backup heat times, and in California, I would imagine that wouldn't be too often. It is probably worth a call to your contractor to ask. My sense is that it would not be a great payback, but I do not know that through any hard numbers. Adding a radiant barrier to the underside of your roof can limit your heat gain in the summer. I would imagine this would be a nice retrofit in California, but here in PA with a short cooling season, I have never done one of these jobs. Having said that, one of the best ways to keep an attic cool, even more so than ventilation, is the color of your roof. Anyone out there looking to replace their roof, go with a very light color. Not only will it save on cooling, but the roof will last longer. I have a very light grey standing seam metal roof. Philadelphia had a white roof painting program a couple of years ago. I'm glad you brought up the ROI based on region. It is absolutely tied to your climate. The ROI's I stated above are just an average of jobs I have done here in Central PA. I could not speak with authority to the ROI's you can expect in California. Having said that, certain formulas that I use do have weather data that can be changed. Homes that are more north of Harrisburg, PA can expect higher ROI's on the insulation and air sealing work I detailed, but further south should expect lower. Those homes in primarily cooling climates are setup completely different, so you should consult a local BPI building analyst if you are in the South. The other items that are not tied to weather can certainly be a good guide for anyone, but bear in mind that every home is different. You may do better or worse with the ROI's. You would do much better with solar in CA then what I see here in PA.
Windwashing is when outside wind comes in and pushes the heat out of your insulation faster than it would normally. For example, a home with soffit vents in the attic where the wind blows directly into the insulation. This will essentially speed up the time it takes for the heat to leave your thermal barrier. Remember your R-rating on your insulation is simply a function of how long it takes for the heat to pass through. If it passes through quicker it is effectively a lower R-rating than what you paid for. Great article Phil.... thank you! the Midcoast Green Colaborative: (At Guy Marsden site... great resource also....). I have seen these windows and the view is remarkably clear. or buy at $3/sq ft.
How would I calculate the ROI on this? at night, use a fan to cool house... Close window in the morning. hot steamy air into the rest of the house during the winter... (Yes vent to outside in summer). Do you have guidelines for healthy temps and relative humidity? ERV's and HRV's are ventilation systems that I would use only in a supertight house that needs the additional ventilation. This would be based on testing and occupancy behavior. For example, my wife and I live in a supertight home that is way under the minimum ventilation guidelines that I subscribe to, but we have a small footprint on the house as far as vapor pressures, and other indoor air quality issues, so the additional ventilation was not needed. The recovery ventilators will save some energy, but the energy it is recovering is offset by the additional air flow that was created by the system. There is no point in creating more holes unless you need to. Thank you! It really depends on the house for me as far as complexity. I do see your point, but material cost is an issue, and rental of equipment for homeowners. Having said that friction fit rigid board foamed in is my preference, there is certainly nothing wrong with going with spray foam, if you prefer. Thank you. The bath fan rule is very general, but basically you do not want excess moisture in your home. Having said that, too low a humidity can be bad also. Here where I am in PA, that is never a problem, we are trying to keep moisture out and humidity low, otherwise the indoor air quality is adversely affected as well as the durability of the structure. It really depends on what climate you are in and what season it is as far as what the humidity should be. In Minnesota for example a relative humidity of 25% is appropriate in the winter, but in Cincinnati it would be 35%. I would be concerned about adding moisture to the house through the bathroom as it is very localized. 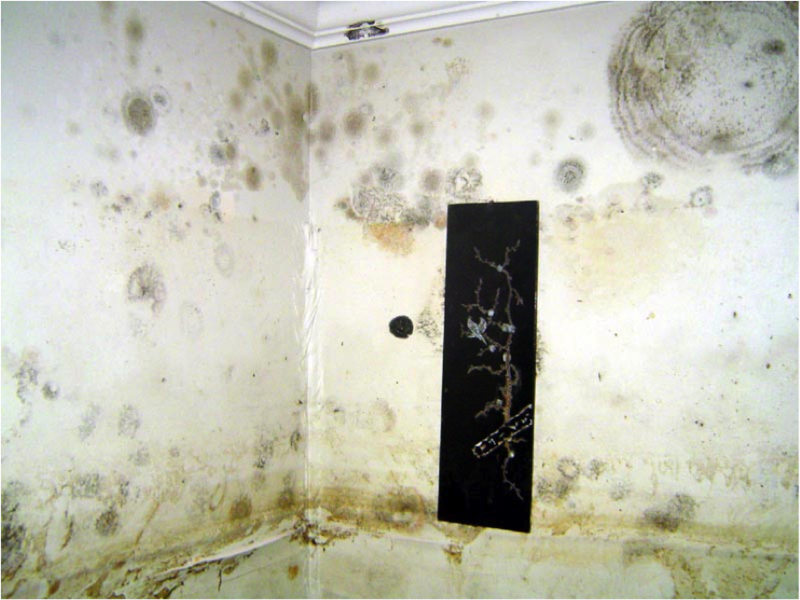 If you don't have any mold developing, you are probably fine as far as too much moisture is concerned. If you want to add moisture, than house plants put out strategically can do that, but just be sure that you do in fact need to raise the humidity. I would only rip out the rock wool if it is wet, otherwise it should be fine. I would insulate the attic floor provided that is your thermal barrier. I am assuming the attic is not part of the thermal envelope, and the ducts do not run in the attic and it is unconditioned, otherwise it would be awfully expensive to spray foam the rafters. Your welcome! In regard to the window setup from the website you referenced, they function similar to storm windows, which are effective retrofits. New windows are too expensive, but this setup may work. Below is the math required to find out how many BTU's you can save with this retrofit. So simply figure out how many FRN's you are saving based on your fuel source and price of the source compared to your cost for the retrofit, and you can decide if it makes sense. Your current setup- .5 X 100 FT2 (my guess on area jusf for calc.) X 7511 (Portland Maine) X 24= 9,013,200 BTU's if propane heat, that is 97.96 Gal. The New setup- .25 (R-4 instead of R-2 per website's claim) x 100 FT2 X 7511 X 24= 4,506,600 or 48.98 Gal. So 49 Gal's of savings would be $171 at 3.50 per gallon. At 3$ a ft2 installed that would be a 57% ROI. The hot water heater would not have a major effect on your heating load. I understand what you are saying, and it is true to a certain extent, but that heat in your furnace room is probably waste heat anyway. That really should not be a concern, but you could ask the manufacturer to be sure. For me it has never been an issue. You might get a slightly lower ROI because you only have a 30 gallon tank, my calculation was on replacing a 50 gallon. Keeping a relative humidity below 50% in the winter and 70% in the Summer will help minimize condensation, fungi growth, and dust mite populations. Just want to say this was an absolutely awesome freakin' post. This page is going to the top of my priority bookmark list, and I'm also sending this immediately to my folks. Unlike me they own their homes, and I think this may finally get one or both of them to take that important first step. If you have a Lowe's home improvement, thru today 4/25 (order online, and pick up latter or return them if you don't like them), they have LED lights on sale for $9.98 each. These are the same as 40 watts, but I think they are brighter than the 60 watt bulbs I replaced them with. And they only use 7.5 watts. Brand is Utilitech Pro. lumens of 430. 3000K. estimated energy cost of .90 year. rated to last 25,000 hours or based on 3hrs a day at 22 years. The warranty is for two years. I have used LED lights in my office for the past year, and have been happy with them. I paid a lot more for them in the past. I figured this is such a good deal, and ended out picking up 40 bulbs for my home. If electric rates go up, or you need a generator, these use much less than CFL's and don't put out dirty energy. On the subject of reducing moisture, "Avoid storing items against cold outside walls or in damp basements"
Regarding ROI, I think we also have to consider that gas and oil prices are inevitably going to go up (prices for everything are going to go up). So heat mumps and solar systems and other similar things may be significantly more cost effective than people realize. And that natural gas furnace may only seem cheap now, when gas prices are low. If you were to go all the way and be grid-independent if necessary, then during times of high inflation you woud be totally "insulated" (pun intended) from rising energy prices. I can attest to the ROI on upgrading the attic insulation, at least in sunny Texas. 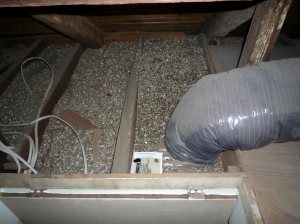 A few years ago, a contractor that I had called about blocking access of squirels to my attic pointed out that there was no insulation at some corners of the attic. Probably the builders blew the insulation from the access opening, near which there was the normal amount of material, but far from uniform throughout the attic. Unhappy about the utilities bills, I had to correct this issue. Since the insulation level when the house was built was too low for current standards, I decided to increase it to current standards. One thing that I found out was that blown insulation is not the most durable one. With time, as it receives moisture in the winter, it will tend to sag and lose some of its insulating properties. So I opted for rigid urethane insulation that fits neatly between the joists. The contractor reused the blown insulation piling it to the required thickness at the North side of the house and installed the new rigid insulation in about 2/3 of the attic. The total cost was then $600. When the summer came with its 100F+ days, I noticed immediately that the master bedroom, facing West, was much more comfortable to sleep in the evening. Not only that, but the temperature in the 2nd floor was much more uniform than it used to be. Although it's hard to compare one year's summer to another's, my first summer utilities bills were about $30 to $50 less than the respective months the year before. As a matter of fact, I never got bills as high as before upgrading the attic insulation, which could reach up to $190 in the summer. Since the Texan summers are long, I estimate that the new insulation paid for itself in about 2 years. And $600 was no break-the-bank expense to start with. I have a question about CFLs. They are always advertised as lasting a long time, but I've had a problem with many of the bulbs going out after a few weeks or months of use. It seems that if a CFL is on for less than 15min often, its lifetime will be severely shortened (see http://bit.ly/aAwZ6t and http://bit.ly/iCGl6I). If that's your case, avoid installing them in rooms where you don't stay long enough, like corridors and closets. Either use up remaining incandescent bulbs in those rooms or consider LED lights. I guess I'll be looking at getting LEDs. thanks again for your advice Phil. What about halogen bulbs? Are they being banned as well? Surely, at twice the efficiency of regular incandescent bulbs they're nothing to write home about, but perhaps they would be suitable for those cases where replacing sensors and other electronic fixture controls is too costly. Very good post on a very important topic. I had insulation blown in last year and can tell the difference. One of the other things one my list was to figure out how efficient my refridgerator is. Unfortunately, the model I have wasn't found in the database you provided (it is a Kenmore 795.75012401). Please let me know if you have any ideas about where I might go to look it up. That's a first for me. Sometimes if you can't find your fridge, just entering the first few characters, instead of all of them, will bring it up. I tried that based on the numbers listed above, but nothing as you said. I would make sure it is the Model # and not serial # also, make sure you did not leave off any letters before the numbers. Worst case scenario, if that doesn't work, you can get a watt meter like I discussed under the phantom load section. You do have to leave the meter on for a day or so to get a really accurate reading. I think that low-flow shower heads deprive us of a relaxing shower and, at least in the South, they would not contribute significantly to reducing water usage. Watering a lawn during the summer months may easily require 5000 to 15000gals per month. I'd be more interested in sustainable lawns that still look nice with much less watering. Insulating the Ceiling vs Floor of the Attic? I second all of the other congradulations on an informative post. My question relates to insulation options for a 1960's home with very poor insultation of the walls and just Certintead fiberglass (original construction 50 years ago) laid between the floor joists of the attic. I live in Westchester county, just north of New York City. I mention this since it seems to matter which climate you reside in as to the wisdom and ROI for any insultation method. Traditionally, I understood that the attic space was essentially a covered outside place to allow the escape of moisture from the house, was insulated on the floor and had both passive and forced air ventilation. I have recented had proposals to change that by spraying Foam insultion (SEALECTION® 500 a Urethane Foam product of Demilec (USA) between the ceiling joists and on that attic walls and sealing off the vents and thermastatically controlled attic exhaust fan. The theory put forth was that this will better insultate from the summers heat since the foam is just below the roof and will retain the house heat better in the winter.The space will then be closer to house temperature and be more usable as well. Also I discovered when replacing the bedroom windows that there is NO insulation between the outside shingles and the inside plasterboard walls (only a tar paper moisture barrier). This is also true for the cathedral slanted ceiling in the living room. Any suggestions on adding insulation to these areas now. It makes sense to spray foam the roof deck if you plan to use the attic space or if you have duct work in the attic. Basically if you want to include the attic inside the thermal envelope. Otherwise why go through the added expense. It will certainly be more expensive to go that route, and you will now be heating and cooling that added volume of space, even if you are not purposely doing so. Insulating the walls will be tricky for you. Given the age of your home, it is platform construction, which means you will have to make a lot of holes to dense pack insulation in the walls. If you have a very small wall cavity depth (just an inch or two, it is not worth it, but if you have a 4-6" of depth of vacant space in your walls, it might make sense. If you have siding, then a lot of the holes can be made from the outside, which would be better, but if you have a brick or stone house they will make a mess of your house. It would be worth talking to an insulation contractor to have them assess your site. Yes I completely agree with zeroenergy on his saying that we should also focus on safety of our home after we build it. And about increasing energy efficiency level of our home then there are lots inventions that can help us to save energy and electricity bill. Instead of buying energy consuming lights we can get a CFL light that helps us to save energy and electricity bill with guarantee service. And this type of light is becoming more popular these days due to its good result. Also you can get a good pump to generate water that helps to save energy. Now as far as home security and safety matter is concerned, there are lots of security gadgets regarding home security that helps you to protect your home from theft and also alerts you from accidents like fire etc which allows you to be aware and protect your home from hazardous events. I would LOVE to be able to foam the walls of this 1880s house but this house has 2 or 3 remodels to the exterior, as well as add-ons making it so complex. I got a bid of $9K to have foam done. I think that if people take into account their cost for fuel it would make a huge difference in cost - effectiveness. . . but we cut & burn wood so we have a different objective. IF it didn't cost us $35 a year for gas for the chainsaw & splitter, foaming the walls should be a priority. Then it becomes very cost effective. LED Lights in bedrooms, halls and kitchen counter space. These seem to be lights that are always on (more for comfort) and we put the CFL lights closer to work spaces. Solar Lights outside and in out-buildings (the night light provided by the power company cost only $8 a month to run and I spent well over that budget and I have to keep adjusting the solar piece to the season - but what the heck). I also want to put in a solar attic fan to keep the place cooler just from the air flow but the units are spendy and we only need them 25 days of the year here in MN. We have a metal roof so we felt safe putting in rain barrels. Rain Barrel water uses a fraction of pump power as we have a deep well and huge pressure system that we'll keep installed for back up. 10 barrels cost $50, plumbling we did ourselves, smaller pressure system was $258 and we save $9 a month less on electric. Note that with the well we had to use the water softener and don't need it, just a triple gravity filtration system. Also note- I would not put them in if we had asphalt roofing without an extensive filtration system. I wouldn't even use the water from an asphalt roof for my garden. No Mow Grass has been planted in the most used areas of the lawn and around the gardens. I want to extend that into the woods area where we grill out and hang out to watch wildlife. I'm hoping the shorter grass will reduce the insects that plaugue the area too. . . (fingers crossed). It used to cost $10 a week in gas to mow the 3 acres building site once a week for 9 months 2 years ago. Hy Tech Paint Additive for inside & outside of house was almost $550 but insulation was a beast to tackle. It also helps fire-retard and since we burn wood for heat, that's what I went with for now. Thermal Window Curtains - and I made them with a shiny side and "decorative" side. The shining side reflects out the sun in summer and they get closed winter nights to keep in the heat. I also plastic over most windows in this house over winter. Cost for curtains was scrap material that looked good-enough and thin silver insulation. And this is something only I would do- I have a winter garden in my south facing patio doors and I pull the shiney curtain behind it winters for double sun when the sun is low in the sky. It seems to work well enough to keep us in celery, swiss chard, cherry tomatoes and a slow ripe tomato over winter. A good pair of wool socks and long johns- (on sale this time of year!!) under $100 a person. Shut off un-lived areas and only space heat living area. - nothing. My list could go on and on...I'm always thinking of ways to keep the extreme weather out and stay comfortable. And for today - we are past the hottest days we've had in MN and we got through it and even worked outside some days by getting our t-shirts wet and the evaporation cooled us. That was how the old timers did it and that's how I see many of us making life more comfortable in heat in the future. . . I also want to put in a solar attic fan to keep the place cooler just from the air flow but the units are spendy and we only need them 25 days of the year here in MN. The solar attic fan is typically a bad idea. Running an exhaust fan in the attic will depressurize the attic, which will pull conditioned air from the house into the attic. The best way to keep an attic cool is with a light colored roof. Also natural ventilation requirements for PA are 1 free square foot of vent for every 300FT2 of attic space. I'm not sure about MN. A free square foot is not the same as a regular square foot. Vents typically have the amount of free square feet written on it. I have been considering a building shell audit to hunt down some the air leaks we have. However, I've been weighing the costs of having the blower door test done versus just buying a moderately priced thermal imaging camera - the newer $1500 or so FLIR cameras. Do you have an opinion on if a home owner armed with an inexpensive (relatively speaking) IR camera can hunt down the leaks? Are the newer low price/lower resolution cameras adequate for the task? I look at it as I get an IR camera out of the deal and if I can find a few friends to go it with me, it works out cheaper than and audit and I can iteratively tackle the task. This is works out very similar to the more complex ROI calculation I did for our system taking into account time value of money, depreciation, as well as including the costs of taxes you have to pay on some of the incentives. While still better than you can get at a bank currently and I think it will improve as energy prices rise dramatically in the coming years, it's important to make sure you count the depreciation of your asset in your calculations so that you can accurately compare the ROI to other possible investments. Note, even with a lower ROI I still consider solar (PV & thermal) a good inflation adjusted insurance policy against rising energy costs and potential energy interruptions. I had an old house with single pane metal casement windows that I replaced with newer vinyl/double pane. In that scenario I believe the ROI on the windows was probably quite high because it was nearly impossible to seal the air gaps without simply placing plastic or other barrier over the entire window frame. I can also attest that the reduction in drafts and dirt in the house had a significant "quality of life" improvement even if the energy ROI might not have been justified - I considered it one of the best home improvement projects I did while in the house. There's no such thing as a sustainable lawn. And if you don't water it, you don't have to mow it so often! We have NEVER watered ours in over eight years. I hate mowing. Half our place is kept under control by four legged mowers. 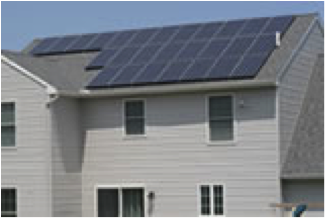 In a well sealed and insulated home, solar gain through windows is a major factor in electricity for a/c. 1) Solar Screens. Screens are used in the sunbelt to control infrared (IR). Screens are mounted outside the window. Permanent installation is recommened. The room is darkened some but a view is maintained. Savings are significant, even in northern tier States. 2) Shutters and Awnings. A return to FUNCTIONAL shutters will produce energy savings. 3) Solar Grates. Grates are installed outside the window. Visible light is passed while IR is blocked. Think cool and bright. Savings are similar to screens. A view is maintained. The grates are stored in cool seasons for free winter solar heating. Maintenance is nil. Grates are not yet commercially available. Ref. USP # 8,307,602. On selected windows I have increased the R value by installing a sheet of acrylic inside the interior most pane. It is transparent and the air gap created turns the double pane windows into double-plus. The sheets stay up all year and are loosely held in place with plastic tabs secured to the sash with small screws. I have to tell people they are there because you see them but you don't notice them. Since then though, the price of acrylic has jumped so they may no longer have a good payout. Hey! It seems like you've enjoy written this article. It's just so interesting and informative as well. Its a good article on energy efficiency. You have to consider windows and how much they play a role when it comes to energy consumption. Energy star is good, but you need to look at NFRC ratings to make sure windows are rated for your local Penn Climate.